Available as part of an FT Group Subscription, your organisation can integrate FT Single Sign On (SSO) for seamless access to FT.com and FT apps using a centralised login system. This not only allows readers to conduct business faster and more efficiently, it provides the highest level of convenience and security to administrators. What are the key features and benefits of FT SSO? Once logged into your company network, you will also be automatically logged into your FT account, so you can instantly view content, including all of your personalised features, without having to enter your FT account password. As users can not share their FT credentials with other users, it means there are fewer places for identities to be breached or stolen. As well, password fatigue often leads to users implementing unsecure password habits which can be extremely vulnerable to hacking. FT SSO increases security by allowing you to enforce your password policies and ensure compliance is adhered. Once logged into your company network, you’ll have automatic, seamless access to FT global market intelligence on all of your devices. Sign in to your FT account via SSO on your mobile and tablet devices to find relevant content on the move. Less passwords to remember equates to less time spent administering accounts and resetting passwords, meaning administrators have more time to spend on other tasks. Employees leaving your organisation are removed automatically, while existing users are prompted to use the service if they become inactive. Low barriers to entry and considerable convenience to end users, means that it is easier for people to get to the information they need quickly, so more people get value from your organisation's FT subscription as a consequence. Though set up varies slightly between ADFS and SAMLP, both routes are straightforward, taking up to 24 hours to implement. Continue reading to learn how to get started and how we can help. We can integrate with Okta, OneLogin, ADFS, or any other provider that uses SAML, to enable readers to login to FT.com using their company network credentials. Users already authenticated to use other applications in their organisation can then also have automatic access to FT.com. Visit the FT myLicence page to find all of the information needed to create your SSO connection. 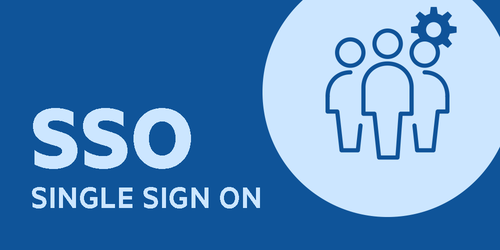 For SAML You will need your SSO sign in URL (and sign out URL if your IDP uses one) and a valid x509 certificate. If you do not have access to this information, you will need to reach out to the member of your IT team who is responsible for SSO. Finding the right contact within the clients IT team to make the needed changes. Making sure that the FT and the clients systems are aligned in the format used for the identity exchange. For further support and more information, get in touch with your FT Customer Success Manager or email customersuccess@ft.com. They will provide support through each stage of the process - from setup to testing to developing a “go live” plan and communicating the new service to your end users.